Died: June 20, 2011 Ghazni province, Afghanistan supporting Operation Enduring Freedom. 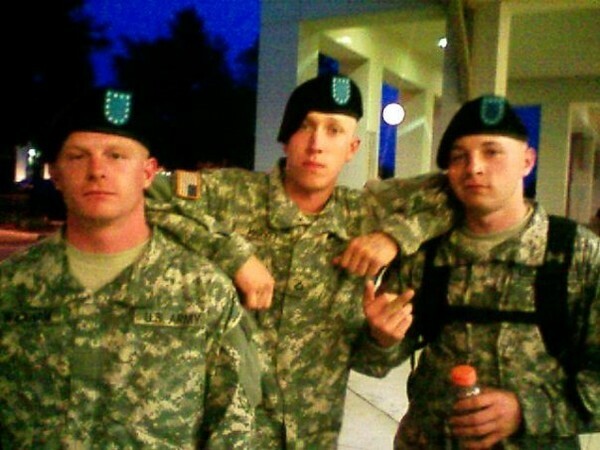 Unit: 2nd Battalion, 2nd Infantry Regiment, 3rd Brigade Combat Team, 1st Infantry Division, Fort Knox, Ky.
Sgt. James W. Harvey II, 23, of Toms River, N.J., died June 20 in Ghazni province, Afghanistan, of wounds suffered when insurgents attacked his unit with small arms fire. He was assigned to the 2nd Battalion, 2nd Infantry Regiment, 3rd Brigade Combat Team, 1st Infantry Division, Fort Knox, Ky. Jimmy was the grandson of the late Thomas "Buddy" and Betty Cummings, and the late James W. Harvey, and nephew of the late Patricia Cummings Czachowski. He is survived by his loving parents James S. and Susan L. Cummings Harvey of Toms River, his 3 devoted sisters Christine and Steve Douglas of Colonia, Robin and David Raffaele of Scotch Plains, and Tracey Harvey of Toms River, his 2 nephews Ryan and Michael, his uncle Joseph Czachowski and his uncle and aunt Robert and Gina Harvey and a very large extended family. 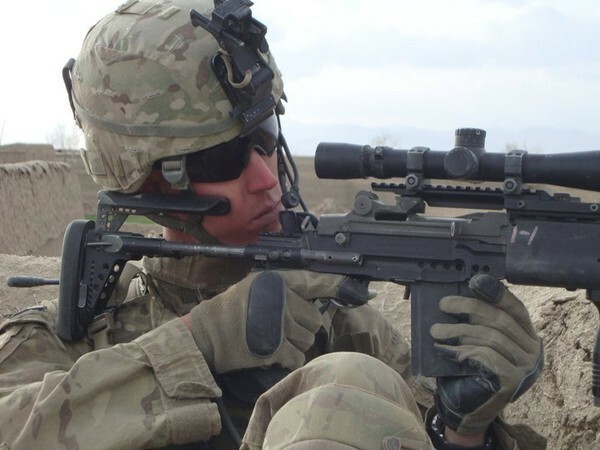 US Army Sergeant James W. Harvey II, 23, of Toms River and formerly of Clark passed away Monday, June 20, 2011 while proudly serving our country in Ghazni Province, Afghanistan. He has been posthumously awarded a Bronze Star and Purple Heart for bravery. 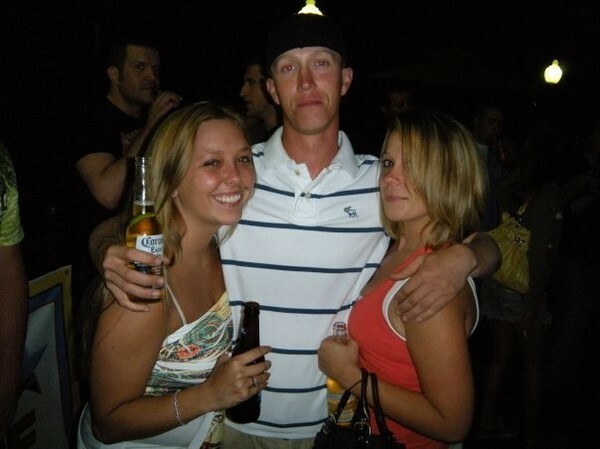 Jimmy was born in Livingston, and had resided in Clark for 10 years, graduating from the Arthur L. Johnson High School, before moving with his close knit family to Toms River 4 years ago. He was a member of the 2nd Battalion, 2nd Infantry Regiment, 3rd Brigade Combat Team, 1st Infantry Division, based in Fort Knox, Ky. He had enlisted in the Army at age 21 and was deployed to Andar Province in January. Prior to enlisting in the Army, he had been employed at Public Service Electric & Gas in the Metro Division underground as a cable splicer and substation operator. Jimmy was the grandson of the late Thomas "Buddy" and Betty Cummings, and the late James W. Harvey, and nephew of the late Patricia Cummings Czachowski. He is survived by his loving parents James S. and Susan L. Cummings Harvey of Toms River, his 3 devoted sisters Christine and Steve Douglas of Colonia, Robin and David Raffaele of Scotch Plains, and Tracey Harvey of Toms River, his 2 nephews Ryan and Michael, his uncle Joseph Czachowski and his uncle and aunt Robert and Gina Harvey and a very large extended family. 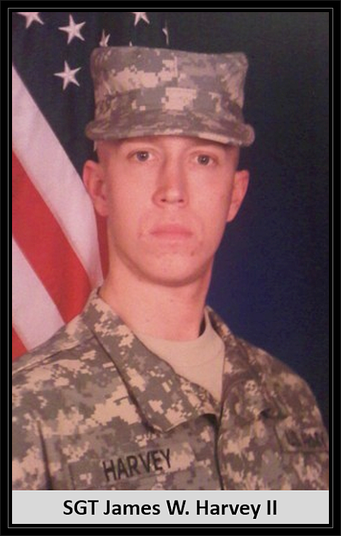 U.S. Army Sergeant James W. Harvey II, 23, of Toms River, N.J., and formerly of Clark, N.J., passed away on Monday, June 20, 2011, while proudly serving our country in Ghazni Province, Afghanistan. He has been posthumously awarded a Purple Heart and Bronze Star for bravery. Relatives and friends are invited to call on Tuesday from 2 to 4 and 7 to 9 p.m. at the O'Brien Funeral Home, 2028 Hwy. 35 at New Bedford Road, Wall, N.J. 07719, followed by a 9:30 a.m. Mass of Christian Burial on Wednesday, June 29, 2011, at St. Catharine's R.C. Church, 215 Essex Ave., Spring Lake, N.J. 07762. Please go directly to the church on Wednesday morning. Burial will be in St. Anne's Cemetery, Wall, with full military honors. 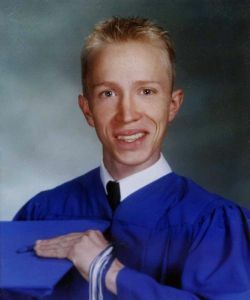 Jimmy was born in Livingston, N.J., and had resided in Clark for 10 years, graduating from the Arthur L. Johnson High School, before moving with his close knit family to Toms River four years ago. He was a member of the 2nd Battalion, 2nd Infantry Regiment, 3rd Brigade Combat Team, 1st Infantry Division, based in Fort Knox, Ky. He had enlisted in the Army at age 21 and was deployed to Andar Province in January. 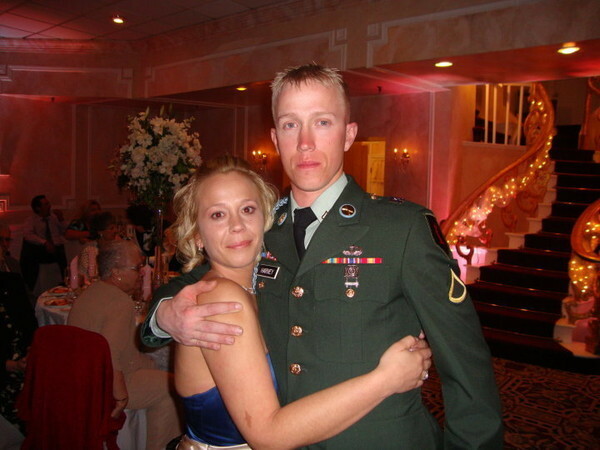 Prior to enlisting in the Army, Jimmy had been employed at Public Service Electric & Gas in the Metro Division underground as a cable splicer and substation operator. Jimmy was the grandson of the late Thomas "Buddy" and Betty Cummings and the late James W. Harvey, and nephew of the late Patricia Cummings Czachowski. He is survived by his loving parents, James S. and Susan L. Cummings Harvey of Toms River; his three devoted sisters, Christine and Steve Douglas of Colonia, N.J.; Robin and David Raffaele of Scotch Plains, N.J., and Tracey Harvey of Toms River; his two nephews, Ryan and Michael; his uncle, Joseph Czachowski, and his uncle and aunt, Robert and Gina Harvey, and a very large extended family. In lieu of flowers, the family specifically requests donations to the Wounded Warriors Project, 4899 Belfort Rd., Suite 300, Jacksonville, Fla. 32256. For further information or to send condolences to the Harvey family, please visitwww.obrienfuneralhome.com. 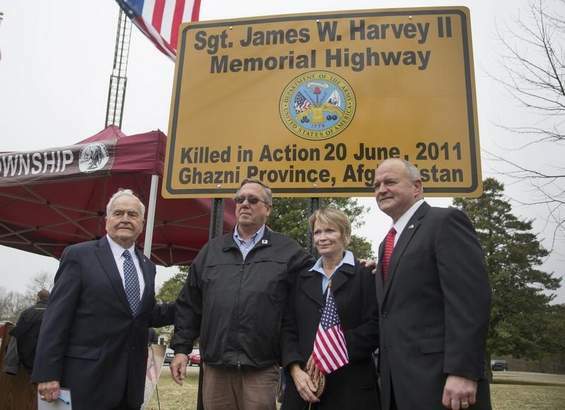 Dedication ceremony for section of Church Road in Toms River in honor of Army Sgt. 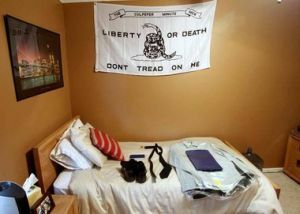 James W. Harvey II who was killed in Afghanistan from wounds suffered during an insurgents attack on his unite with small arms fire. Ceremony in Toms River on April 04, 2014. Peter Ackerman/Staff Photographer.